All Beta Sigma Alumni are invited to join the festivities as the Beta Sigma Chapter of Sigma Chi gathers in downtown Nashville. Join us on Sat., May 4, 2019 at the Sigma Chi Shindig at the Fairlane Hotel. 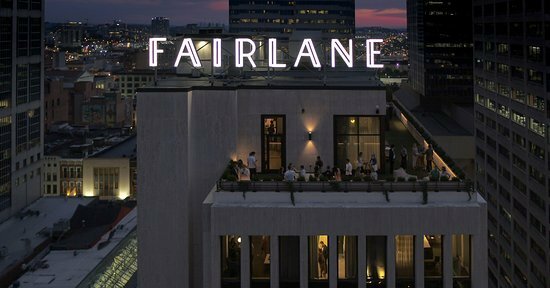 Brother Philip Welker (Beta Sigma 2000) and his business partner redeveloped an old savings & loan building into a beautiful 81-room boutique hotel, now known as the Fairlane Hotel. The duo previously developed the Oliver Hotel in downtown Knoxville. Special $10 Event Valet parking will be offered. Interested in staying at the Fairlane Hotel for the event? Please call and book directly at 615-988-8511. Make sure to mention the event for a discounted room rate. Beta Sigma's 100th Anniversary Event: Friday, Sept. 22, 2017 before the UT-UMass game. All Brothers and Little Sisters are invited. 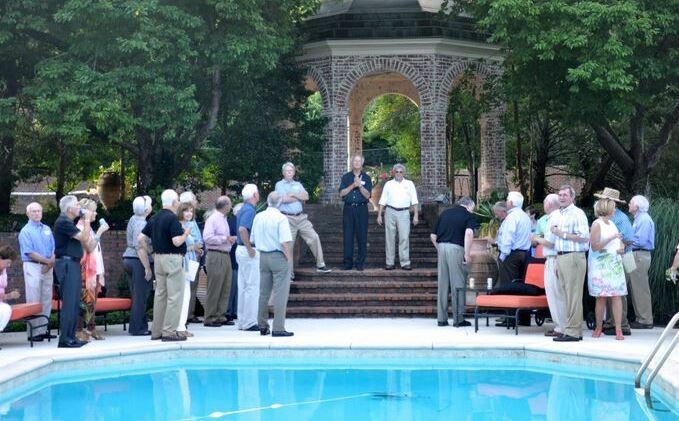 Location: Cherokee Country Club. Brothers: To make sure you're on the email list for details and event registration, confirm you're listed in the Sigma Chi HQ web: Go to www.SigmaChi.org, upper-right Members Only, then Register or Update My Contact Info. WANTED: Composites and Group Photos from Brothers / Pledges / Little Sisters. For the 100th celebration, we need photos & composites. Click here for details. Accomplished Nashville Keyboard-Musician Recorded/Toured with Elvis. Robert “Bobby” Ford Ogdin ‘66 has established himself as one of Nashville’s most sought-after recording session keyboard musicians. Now he’s earned another award: the 2015 Significant Sig Award. From Left: Bobby Ogdin '66, Tom Collins '65, Breck Grover '69, and Jim E. Hall '63, all celebrate Ogdin's Signnificant Sig Award. Listed in the Who’s Who of Rock Music, Ogdin (who grew up in Knoxville – Bearden and West high schools) is a former member of The Marshall Tucker Band. He also played on over 20 of Elvis Presley’s studio recordings, and played 45 live shows with The King. 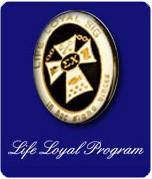 Ogdin received his Significant Sig Award in August 2015 at the Nashville home of one of his Beta Sigma pledge brothers: Significant Sig Tom Collins ’65. Tom, now a prominent record producer, years ago had persuaded Ogdin to come to Nashville for the music scene. Order of Constantine Breck Grover ’69. Ogdin, Beta Sigma's 23rd Significant Sig honoree, joins an elite group: List of Beta Sigma's Significant Sigs. Ogdin, mid-1960s; and Back/left, as a member of The Marshall Tucker Band in the mid-1980s. At the Awards Party in Nashville, four former Consuls attended: Jim E. Hall, Edgar Faust, Glen Smotherman, and John Clinard. The host committee for this event: Collin Ballance, Lee Cannon, Conn McConnell, Paul Williamson, John Van Mol, Anne (Sienknecht) Humbracht and David Jones. * Shots from the Awards Party Thanks to David Jones & Michael Bevington. Download your favorites! 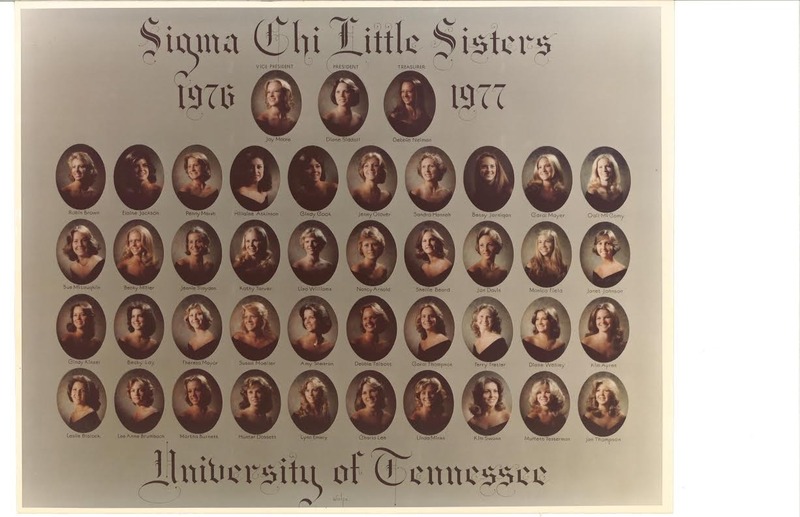 * Composites from 1963 to 1971 Most in attendance are pictured on these historical gems. Watch Ogdin’s award-acceptance video (scroll over photo, click on red/white box), shown at the 2015 Sigma Chi Grand Chapter in San Diego. Ogdin chose to receive the award locally in Nashville. Nominated for keyboard Instrumentalist of the Year (1988) at the 23rd Annual Academy of Country Music Awards. He has performed on over 500 albums to date. His keyboard is heard on scores of number one hits, and gold and platinum records, with artists such as: Kenny Rogers, The Judds, Travis Tritt, Kenny Chesney, Ray Charles, Ronnie Milsap, Aaron Tippin, Ween, Willie Nelson, Highway 101, Levon Helm, Tanya Tucker, Dan Hill, Barbara Mandrell, George Jones. Served as a board member of The American Federation of Musicians (Local 257) and President of the International Association of Recording Musicians (Nashville). * Jim E. Hall ‘63, Significant Sig, Former: UT Board Member, and Chairman of the National Transportation Safety Board. * Tom Collins '66, Significant Sig: Prominent record producer (Ronnie Milsap, Charlie Pride, Sylvia, Barbara Mandrell). As an undergrad, Collins directed our All-Sing chorus for 3 seasons. * Breck Grover '69, is Beta Sigma's only living Order of Constantine member. Note for Nashville brothers: For more info on the Nashville Alumni Chapter:www.NashvilleSigmaChi.com or email: info@NashvilleSigmaChi.com. 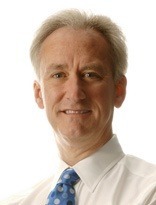 Kem Hinton, Beta Sigma 1977, who leads his Tuck-Hinton Architects firm in Nashville, has been named a Significant Sig for 2014. 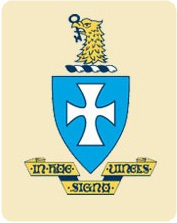 Sigma Chi's UT chapter now has 22 of its members in the elite group of Brothers recognized by the International Fraternity for their professional achievments. Kem received the 2014 Significant Sig Award on Oct. 14, 2014 at the Nashville Sigma Chi Alumni Chapter's Honors Dinner. 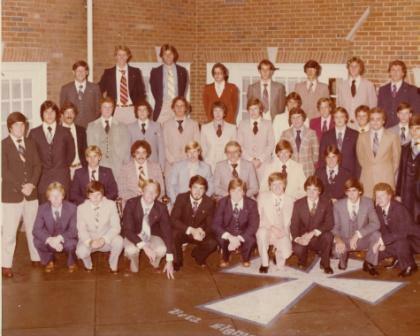 His partner Seab Tuck, a Sigma Chi from Auburn, 1975, was also honored with the 2014 Significant Sig Award. Kem and Seab had previously earned the Nashville Alumni Chapter's "Alumni of the Year" award in 2006. Kem earned his FAIA (Fellow of the American Institute of Architects) for his outstanding contributions to architecture (design excellence, architectural education, and advancement of the profession). For Kem's bio, click here. 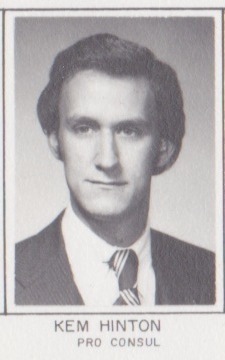 At the Beta Sigma chapter, Kem was Pro Consul in 1976-77 and received the Balfour Regional Award as the most outstanding Sigma Chi in the region. Born in Nashville and raised in Murfreesboro, Kem earned his Bachelor of Architecture from UT in 1977. List of Beta Sigma's Significant Sigs. Note for Nashville brothers: For more info on the Nashville Alumni Chapter: www.NashvilleSigmaChi.com or email: info@NashvilleSigmaChi.com. Pop Quiz: What do these 4 Sigma Chis have in common? Answer: They all were named Significant Sigs, Class of 2012. Two are Beta Sigma alums; One's from Knoxville; the other has been in some movies. See News & Events and Alumni Honors & Awards (left). This site provides an online community for all Beta Sigmas: Alumni, Sweethearts, Little Sisters, and all other friends of Beta Sigma. Register Now! Alumni and Undergraduate Brothers, and Little Sisters, should register now, using the Register link in upper right). The overall site is public. Certain infomation, such as contact info for Alumni Brothers, and Little Sisters, is only available to those who Register. Registration is open only to Alumni and Little Sisters. Note that those who register can make private some of their info.